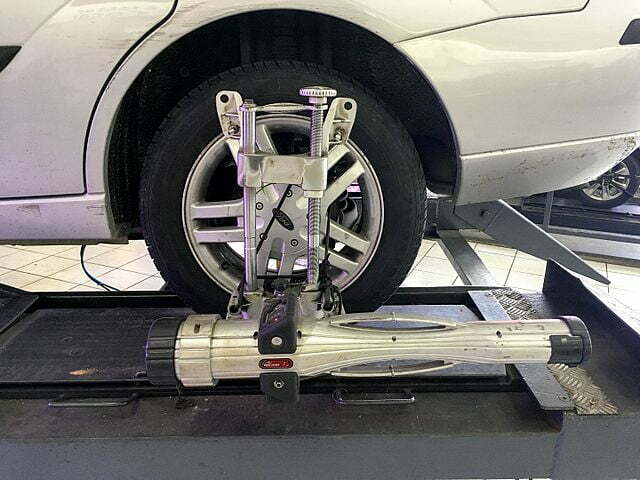 A car’s wheel alignment is what keeps it driving straight down the road. You can tell when your wheels are properly aligned when you hold the steering wheel with minimal effort, and your car drives in a straight line. If your vehicle is not driving straight, there is a good chance that over the years, thanks to some interactions with the curb or potholes, something has happened to the alignment of your wheels. Here are four signs that you may have an alignment problem that needs to be fixed by your mechanic. You need to look your tires over regularly to make sure that they are inflated properly and that there are no punctures leaking air and that they have proper treads. By keeping a regular eye on your tires, you can also start to spot if one tire seems to be wearing out faster than the others. If you notice a strange wear pattern, then the chances are that the tire is hitting the road at a different angle than all the other tires and it needs adjusting. If you are driving your car in a straight line and your steering wheel is not straight on (the logo in the centre should be facing the correct way up) then there could easily be a problem with your alignment. If you hold your steering wheel at a strange angle when you are trying to drive to help keep control of your car, then you need to get your car checked out for alignment problems. This is a common result of a low-speed collision. This is much more dangerous than tire wear or a crooked steering wheel. If you are driving and you feel your car trying to drift either left or right then you could end up in an accident. A significant pull is very obvious, but a slight one under normal driving conditions may not be very noticeable as you have a regular amount of pressure and correction applied to the steering wheel anyway. If you are feeling even a light pulling, you should get your car checked out. If you are driving down the road and your car is shaking, and there is no reason for it to be doing so like a rumble strip or a gravel side road, then there is a chance that a single tire is tilted in the wrong direction. With it tilted against the other tires and pulling it causes the steering wheel, and sometimes the whole car to shake as a result. If you think your car’s alignment may be off, then you will want to go into a mechanic right away. The Brampton mechanic team at Skydome Auto are ready to check your car’s alignment to make sure it is driving safe and that you are saving on gas mileage. We do all sorts of car repair, including tires and oil changes. Come in to see us today and make sure your car is performing its best.